Blockchains are often confused with conventional networks. Many people are of the impression that a blockchain is nothing more than a very big network. In this report we will try to highlight the main difference between, client-server networks as we know them and blockchain. Most organizations have an internal network, this is almost always accessed by staff working for the organization. Very large organizations might have branches spread across different geographical areas. The conventional network can still be applicable in these cases, use of WAN technology and even satellite based connections can tie the network together. The network has one large server and several scattered clients, data fed in is stored on the server. There could be one or more standby servers to handle disruptions. You could visualize a blockchain as being composed of many servers (nodes). Every node is equally important and data, entered at any node is simultaneously updated on all other nodes. It is possible for participants on the same blockchain to transact with each other without, actually knowing each other. For this to happen, the blockchain will need to have information that is validated before being recorded. The validated information is used to build trust, personal contact becomes secondary. If you talk about commercial applications, a server-client network could cover the entire organizations and every function performed within the organization. A blockchain on the other hand, would ideally span an entire industry and all organizations that are part of the industry. On a broader scale blockchains could include, ancillary service providers who might be third parties and exist outside the industry. A good example is third party transport providers, insurance agents and even maintenance service providers. So what about security, would a blockchain be as secure as a conventional network. You might be surprised to know that, the safety factor in a well configured blockchain is much stronger than that of a server-client based network. Validation of login access can happen on the network and the blockchain but, intrusion is something that blockchains can handle more efficiently. We mentioned that, every node in the blockchain stores the same information. A hacker with access to just one node, would be unable to do much damage. The blockchain could be configured to trigger a warning when, data mismatch between nodes occurs. When setting up a conventional network, there is a hierarchy of access rights that is setup, this in the form of ‘roles’. These networks will always have roles defined which could, delete or edit existing information on the server. In the case of a blockchain, there would be no one who could tamper with information once entered. This provides transparency and allows for an audit trail of transactions to be maintained. Conventional networks have nothing to do with currency and payment processes. Organizations rely on banks and other financial institutions to accomplish this task. Talk about a blockchain and it is possible to implement a full featured crypto currency, virtual money that can be used to settle financial transactions. Without sinking into the technicalities, we would say that crypto currencies have the capability to make currency conversion processes and expenses, redundant. Bank fees and other bank related service charges could also be bypassed. 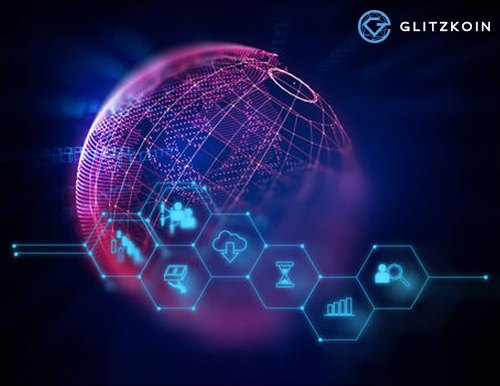 This report is compiled by the technical team at GLITZKOIN. We are poised to deploy a complete diamond trading platform based on blockchain. This project includes the implementation of a crypto currency to make the payment process simpler and cheaper. Once implemented, the blockchain platform could be accessed by diamond sellers across the globe. Similarly, buyers situated at any part of the world, could buy diamonds on the blockchain. There would be no middlemen and buyers and sellers would work with each other. No brokerage fees and no cloaking of prices quoted by the original seller. A win-win situation for both diamond buyers and sellers.